1 Mohamed Hassan, a well-known blogger and activist in Bahrain, is carried by friends and relatives at a celebration of his release from jail outside his home in Sitra. 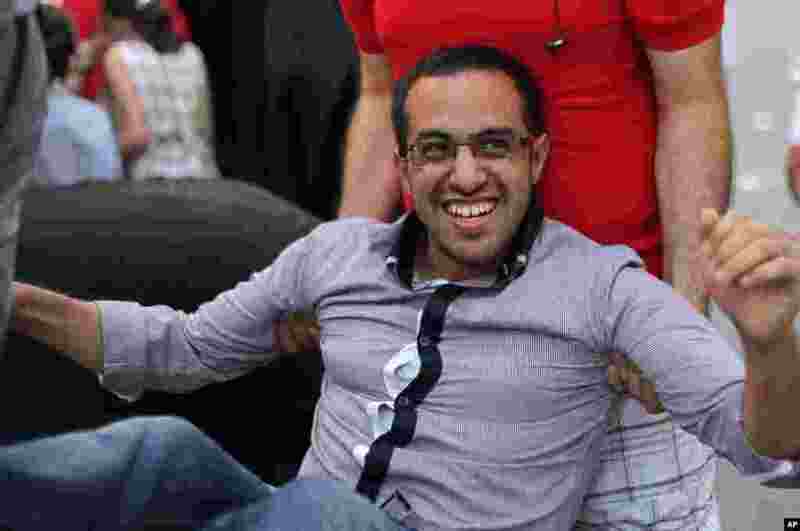 Hassan, who spent more than two months in jail, said he was released on bail and may still face trial on charges of organizing Tamarod Bahrain, or Bahrain Rebellion, a movement inspired by Egyptian pro-democracy protesters. 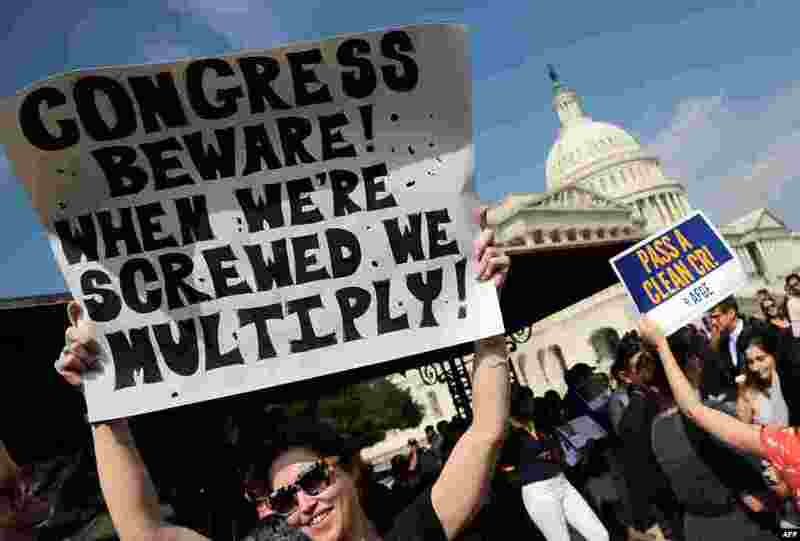 2 Furloughed federal workers protest outside the U.S. Capitol to demand an end to the lockout of federal workers caused by the government shutdown in Washington, D.C.
3 Authorities prepare to search an apartment building in Stamford, Connecticut. 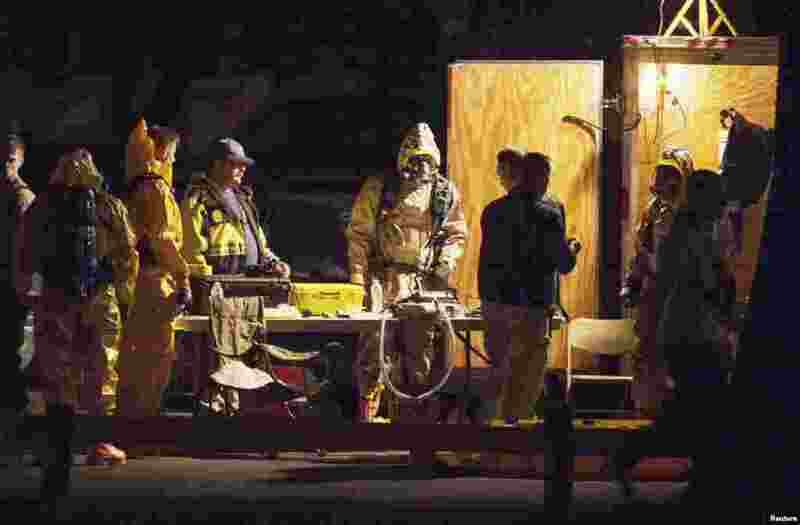 Federal agents, bomb squad units and local police searched the Stamford Connecticut residence of Miriam Carey who led law enforcement officers on a dramatic car chase near the White House to the U.S. Capitol. Law enforcement officers shot and killed the driver, media reported. 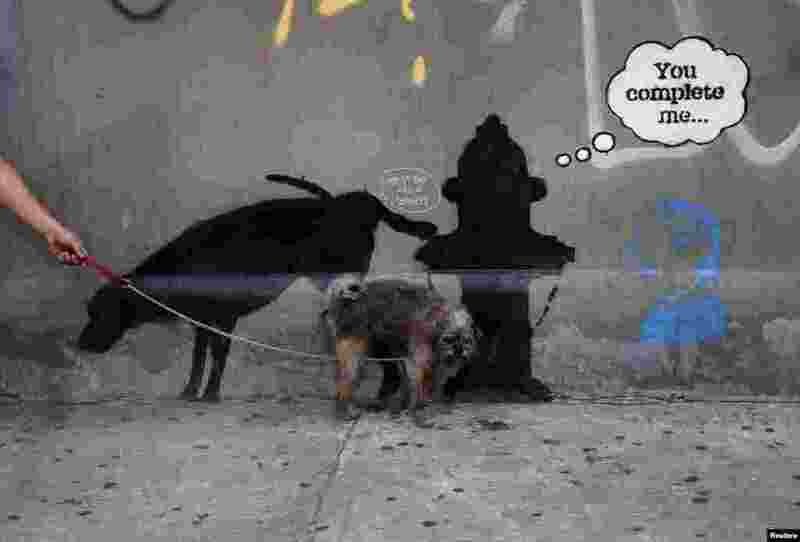 4 A dog urinates on a new work by British graffiti artist Banksy on West 24th street in New York City, Oct. 3, 2013.